I love spinach, going through at least one large bag of it by myself each week. Lately, however, I've lost my preference for raw spinach and have instead preferred it wilted, steamed in the microwave or on the stovetop. 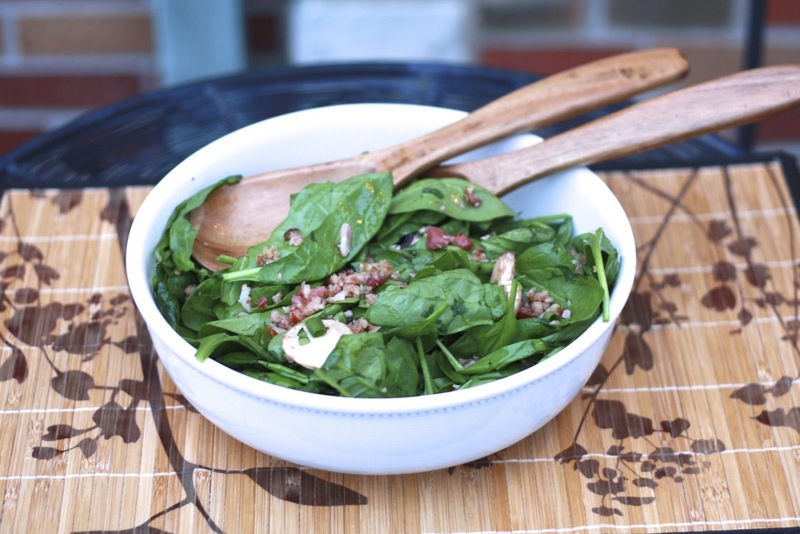 I've had wilted spinach, and spinach salads, but never a wilted spinach salad. It's one of those recipes you'll find in nearly every cookbook, which is where I found mine. This salad is easy to make and is the perfect starter course if you're serving a multi-course meal. It can't be prepared ahead of time, however, so make sure you plan accordingly. You may notice in the picture that there aren't any hard-boiled eggs atop the salad...that's because I have yet to perfect my hard-boiling skills! Though I managed to prepare a few dozen of them successfully last Spring for dyeing Easter Eggs, the two I attempted this time were rather runny when I cracked them open. Live and learn! 1. 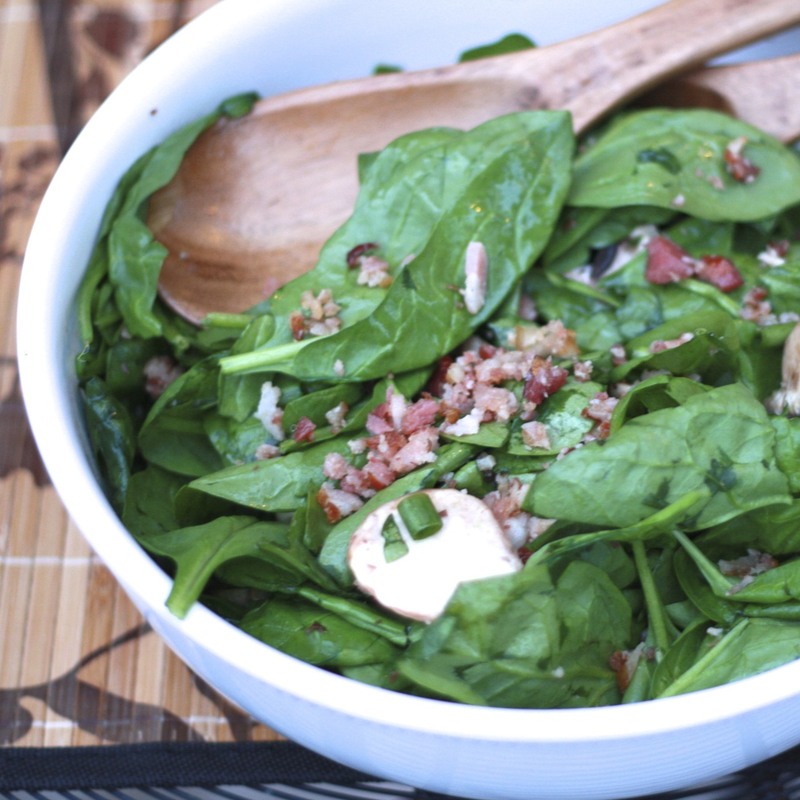 Combine the spinach, mushrooms, and green onions in a bowl. 2. Cook the bacon in a skillet until crisp. Remove bacon, reserving the drippings. Crumble the bacon and set aside. 3. In a small bowl, stir the vinegar, sugar, and salt into the reserved drippings in the skillet. Bring to a boil. Remove from the heat. Add the spinach mixture and toss to coat. Spoon into a serving dish.